Accenture is building a range of applications for MindSphere, a cloud based platform from Siemens to enable industrial equipment makers to benefit from new services based on data insights. 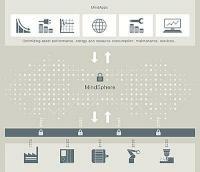 MindSphere is an industrial IoT ecosystem with easy connectivity for all types of industrial assets. It enables the development of applications from Siemens and third party suppliers. Accenture is aiming to support original equipment manufacturers (OEMs) by building a suite of applications for MindSphere to enable new digital services, such as predictive maintenance or remote condition monitoring. OEMs will have timely and continuous visibility into assets and equipment as a result of the convergence of Operational Technology (OT) with Information Technology (IT) and machines becoming increasingly connected with production management, manufacturing execution, logistics and enterprise planning systems. By applying advanced analytics from Accenture to the data their systems generate, they can identify and predict performance bottlenecks and make smart decisions about how to improve asset operations, manage workforce, optimise supply chain risks, and enhance the product design process. Accenture research has shown that predictive asset maintenance can save up to 12% in scheduled repair costs, reduce overall maintenance costs by up to 30%, and result in up to 70% fewer breakdowns. MindSphere has been designed as an open ecosystem to optimise plant performance by collecting and analysing large datasets in industry. 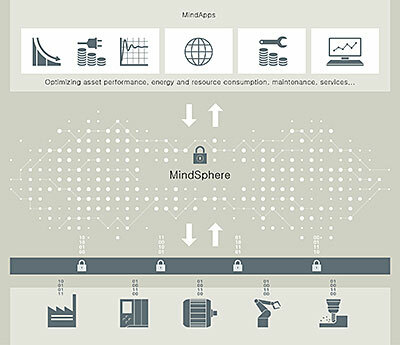 MindSphere also forms the basis for applications and data-based services from Siemens, such as for the predictive maintenance of machine tools (Machine Tool Analytics) or integrated drive systems (Drive Train Analytics).